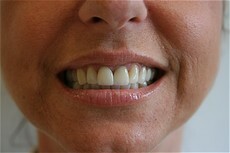 This beautiful patient did not like the way that her teeth looked, she felt that her teeth looked short and stubby. She did not care for the color of her teeth either. 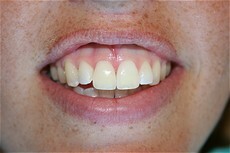 Dr. Kim used all porcelain crowns with a custom color match to give her a complete makeover. Notice how all the colors match and how her teeth appear to be longer and even! 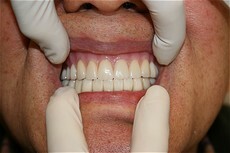 This was a very kind gentleman who was looking for a new smile. Dr. Kim was able to provide comprehensive cosmetic treatment as well as attention to function to create a beautiful smile. 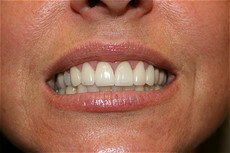 Patient was thrilled with the results! 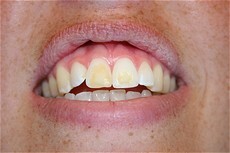 This patient was not happy with the discolorations on her teeth. 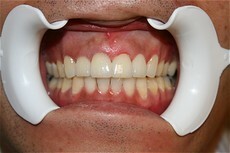 Instead of using crowns or veneers, Dr. Kim used composite filling materials to give her front teeth a new look! 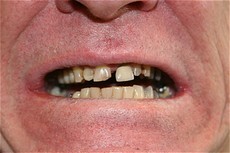 It's no surprise that this older gentleman just wanted beautiful teeth. 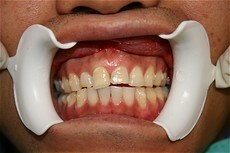 The prognosis for the patient's upper teeth was poor so Dr. Kim put together a treament plan that included a full upper denture with a lower long span bridge and lower partial. Patient was very happy with the results! 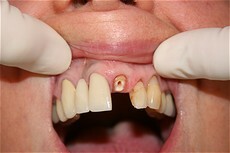 This women broke off her front tooth at the gumline needing emergency care. She walked in right before lunch. Dr. Kim did a root canal, then placed a post and built up the tooth, performed gum surgery to provide adequate tooth, and placed a temporary crown. 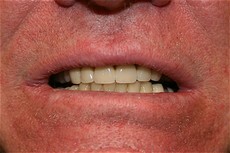 Patient was able to walk out looking completely fine with a temporary crown in place. 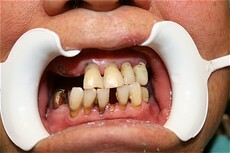 Patient returned one week later for her permanent crown. Patient was very grateful for her emergency care! This gentleman was very unhappy with his smile. His sister said that he had trained himself since he was a very young boy not to smile. Dr. Kim used Invisalign to properly align this patient's teeth, bleached all the teeth, and then placed all porcelain restorations to achieve a beautiful result. Patient loves to smile now and loves the compliments that he receives!! !